I’m devoid of a knitting gene. Try as I might to learn, it’s not information that is retained but I don’t let this frustration get in the way of my love for knitted toys. There’s something really homely and honest about a knitted toy and when gifted to a child, it doesn’t take long before the simple soft toy becomes a friend for life. Click through to reveal five of our favourites! 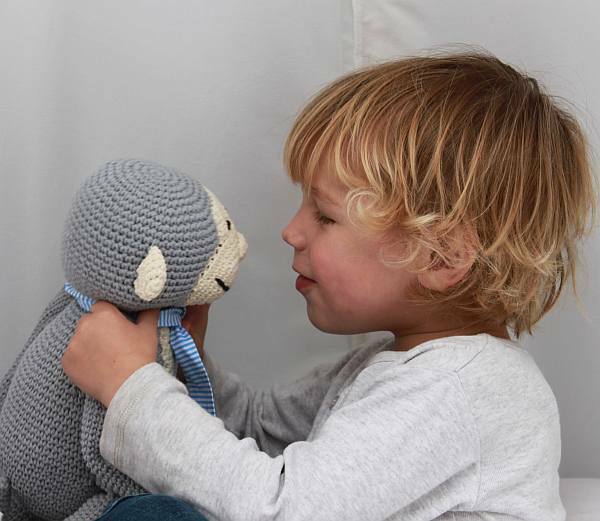 Ladedah is top of my personal favourites list of knitted toys – the monkey pictured above makes me smile every time I see him. If you have a new baby this year or are expecting a Christmas baby, my hot tip is Ladedah’s very cute crochet Deer Rattle, which would make for an excellent Christmas stocking filler at $15. I don’t want it to be said that I didn’t warn you, but Stars By The Door Stitching are responsible for some ridiculously cute looking soft toys. I mean, come on, it can’t get much sweeter than bears and bunnies wearing turtleneck jumpsuits! If you like your knitted toys with a hefty dose of quirkiness then I must give Sally Nencini my full recommendation. 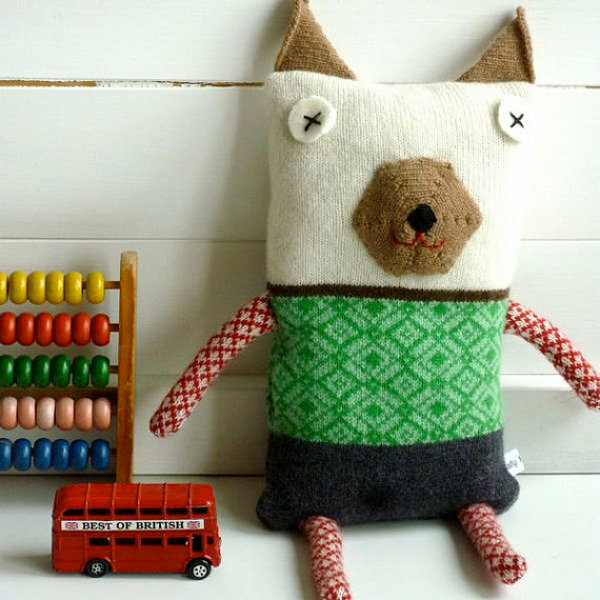 Sally is a master in her field and can knit a dapper dogs, a beautiful doll and bright eyed owls (just to name a few) with gorgeous Scandinavian flair. Blabla have the whole barnyard covered with a bountiful menagerie of animal friends as well as a mermaid, bee and butterfly – all available in mini (thirty centimetres tall) and big (measuring forty-five centimetres) versions for little and big sized fun! 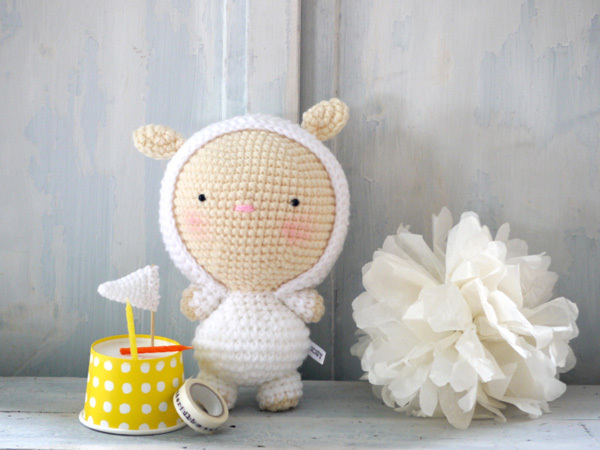 For seriously cute knitted toys you can’t go past 2 Cute 2 Be True. 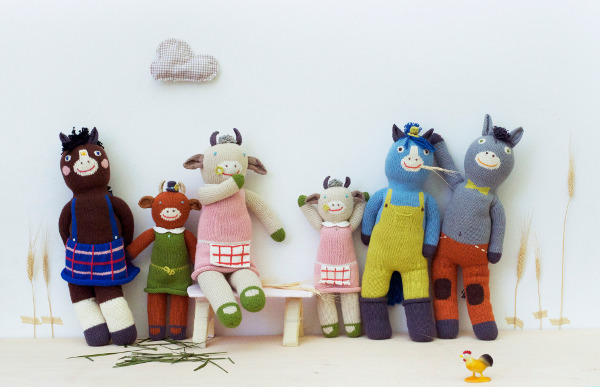 Oh my goodness, designed in the Netherlands and entirely handmade in Thailand, these knitted toys are off the charts on the cuteness scale. Lulu Lamb (pictured above) is absolutely divine, but there are many others to choose from. 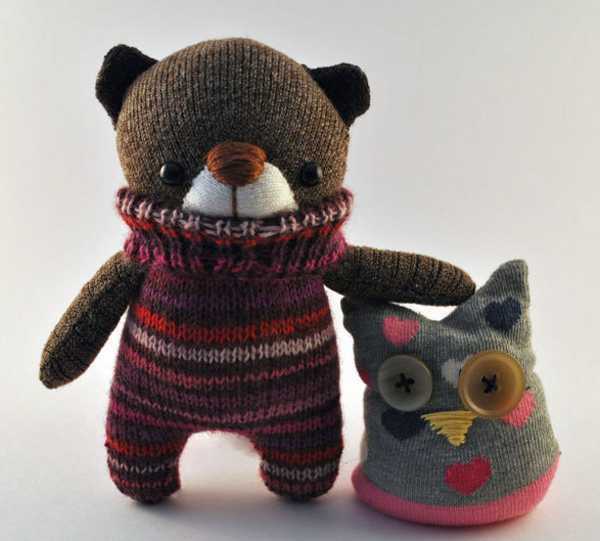 For even more knitted goodness, be sure to see our archive posts on knitted toys.